Rogz NightCat is a quality reflective collar that’ll allow you to spot your feline in dark conditions. 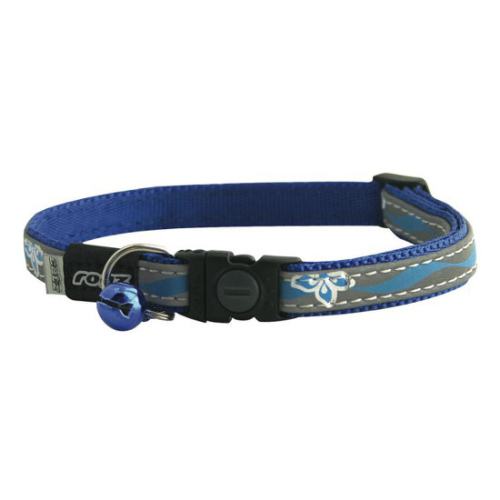 Designed with a break away safety buckle, the collar will easily break open if it gets caught. Also featuring a variable load safeloc buckle you can increase the buckles holding strength.